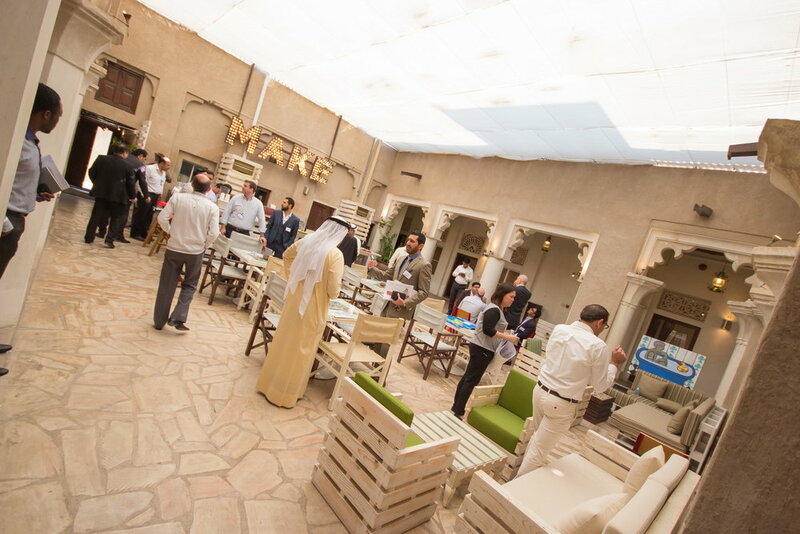 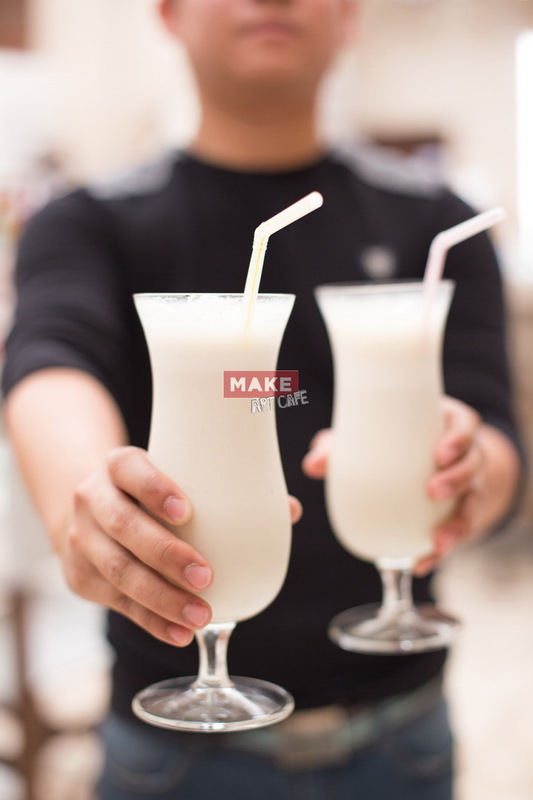 MAKE in its previous avatar back in 2011 was the first coworking cafe in UAE. 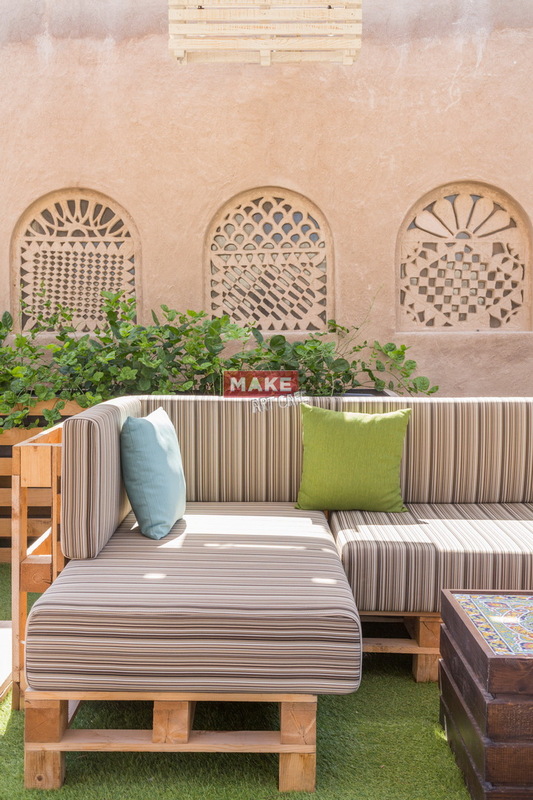 Our urban / industrial designed cafe was the hub for all entrepreneurs, creative freelancers and senior management executives of new Dubai area. 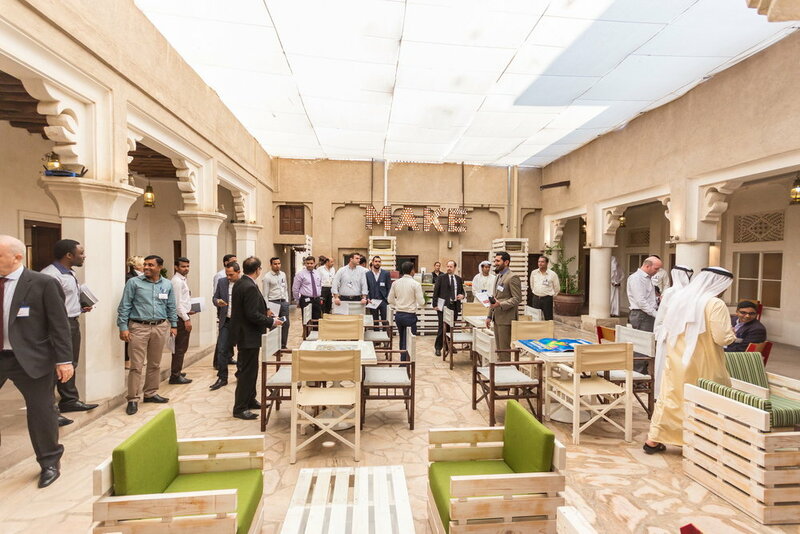 We had to close the venue due to building being sold. 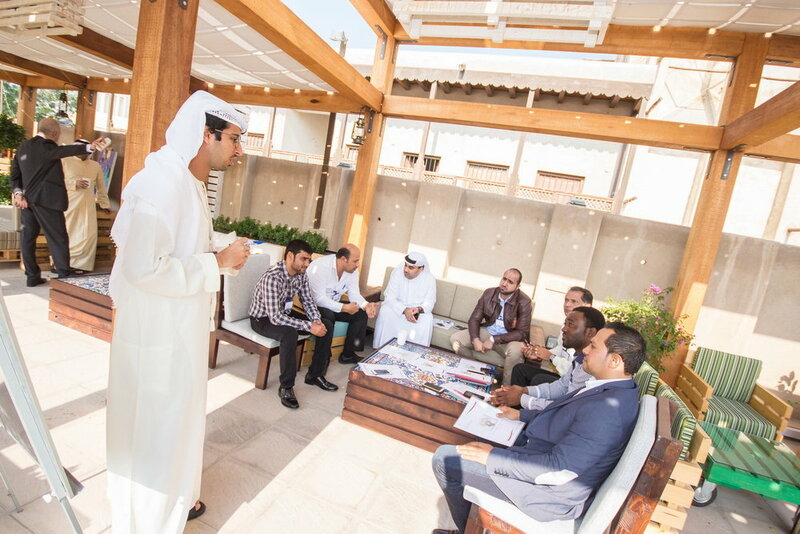 We are looking forward to securing a bigger and better space to re-establish MAKE Business Hub. 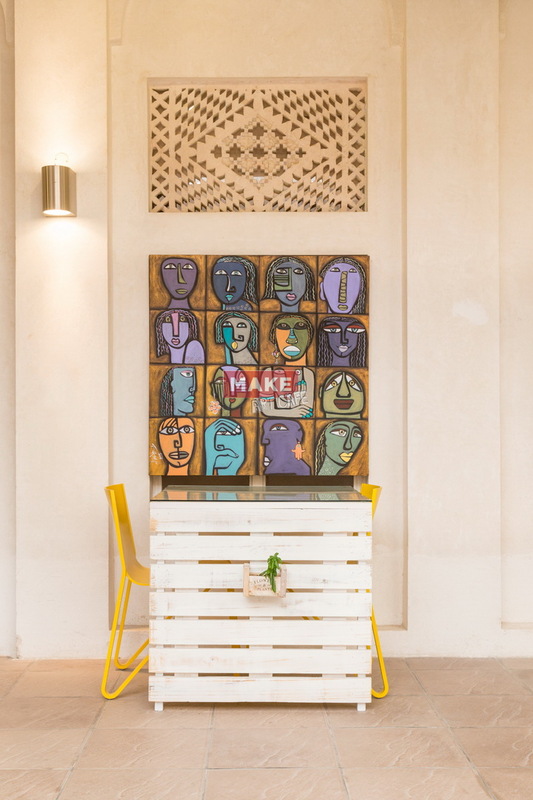 Since late 2015,we have morphed into an art cafe in the historical area of Dubai, located in villa 13, Alserkal Cultural Foundation - Al Fahidi Historical Neighbourhood, MAKE art cafe is a brand extension of MAKE Business hub. 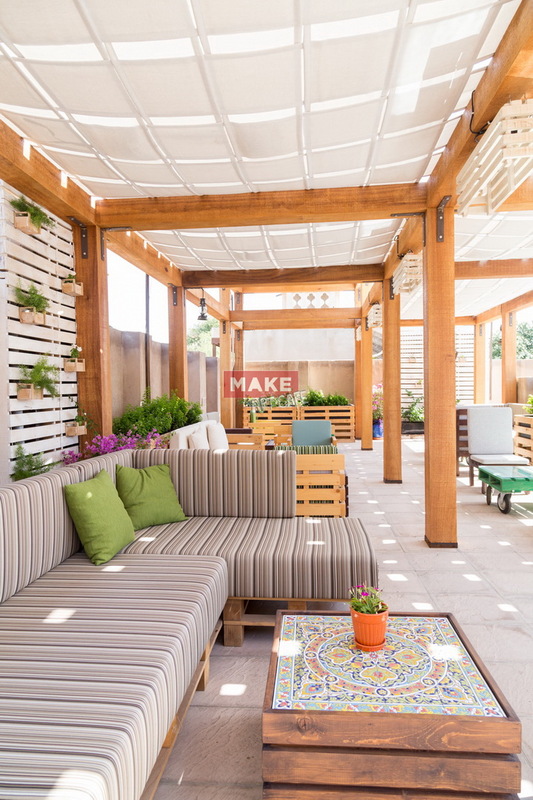 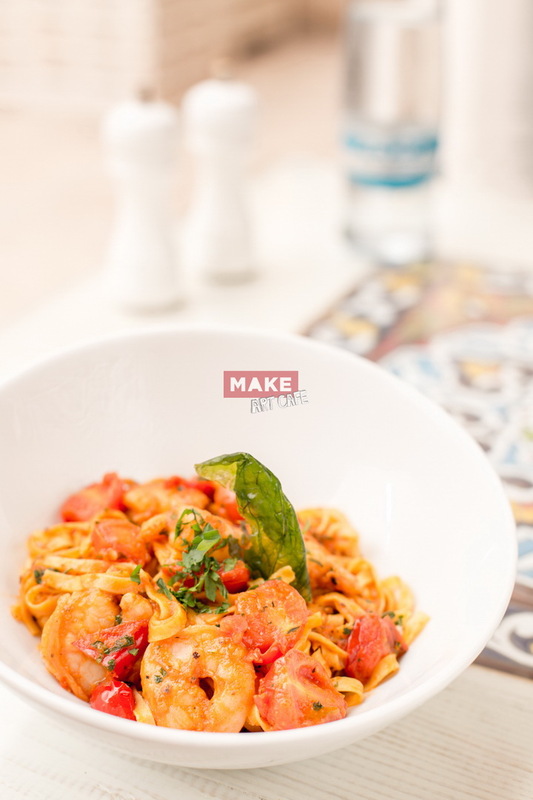 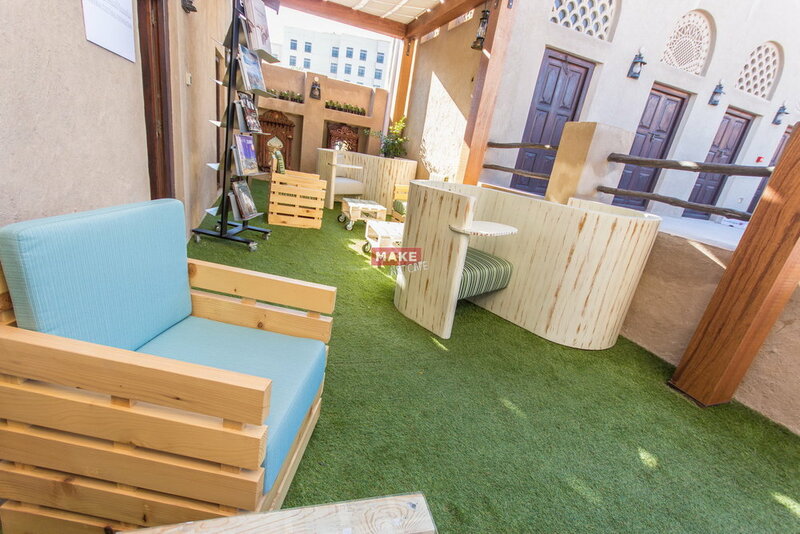 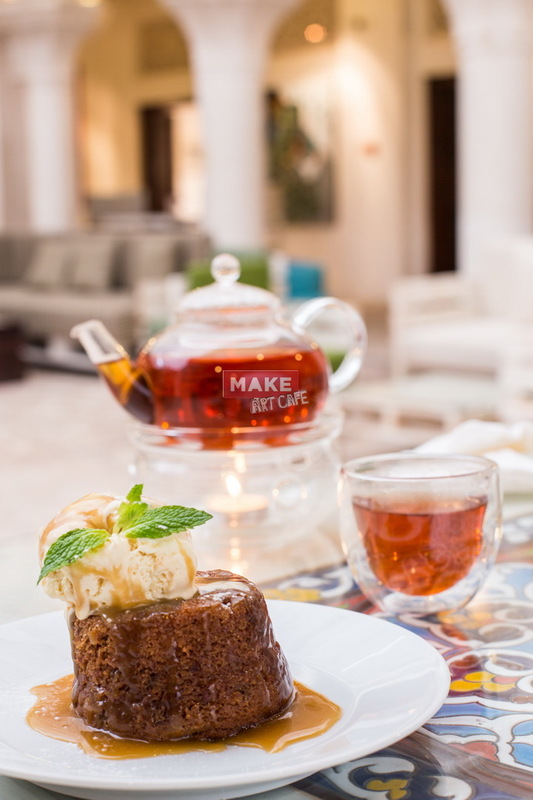 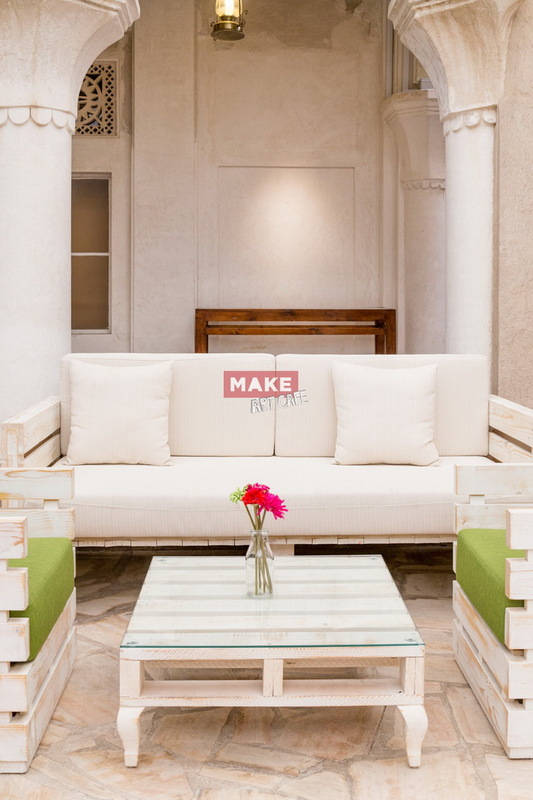 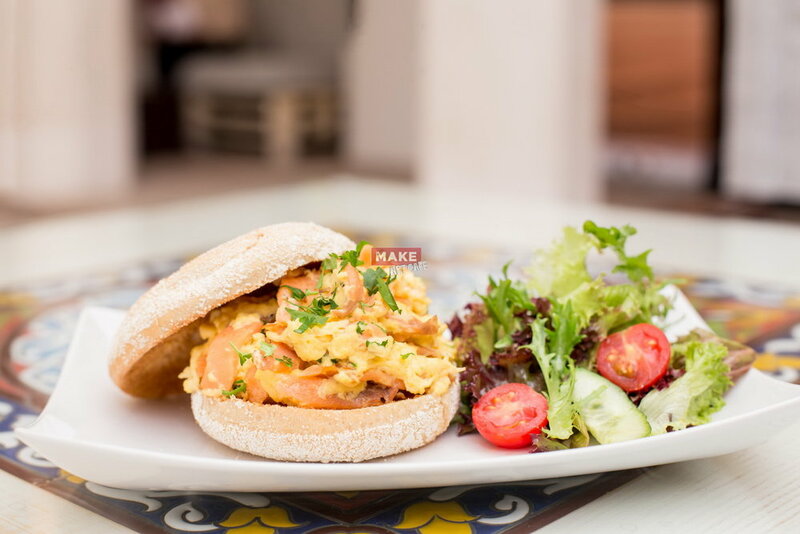 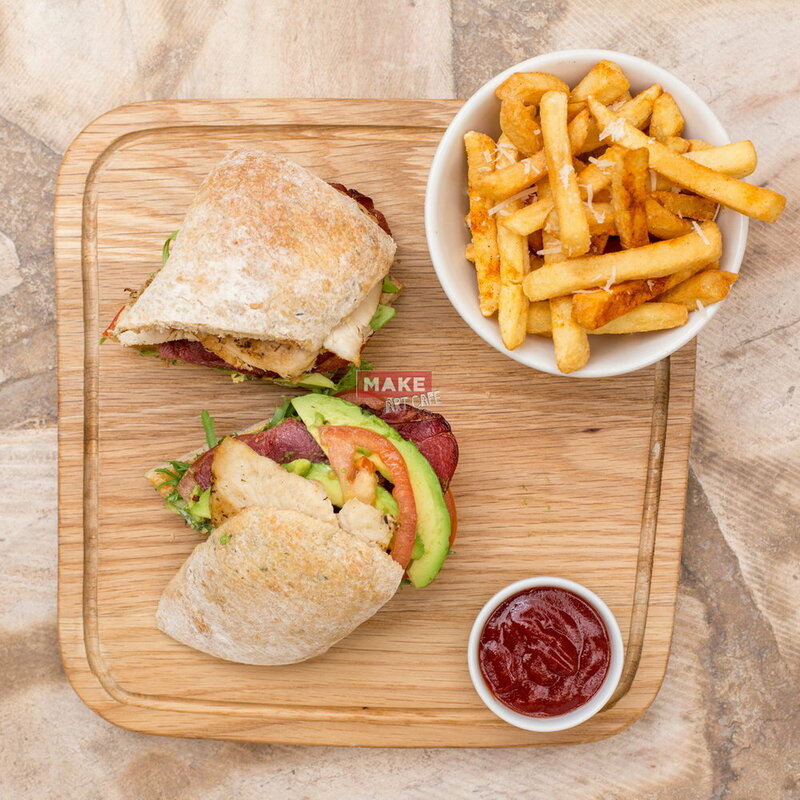 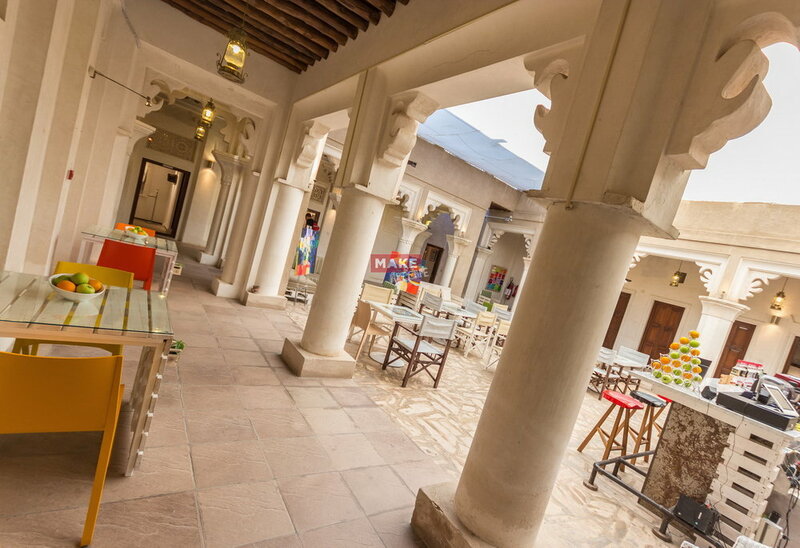 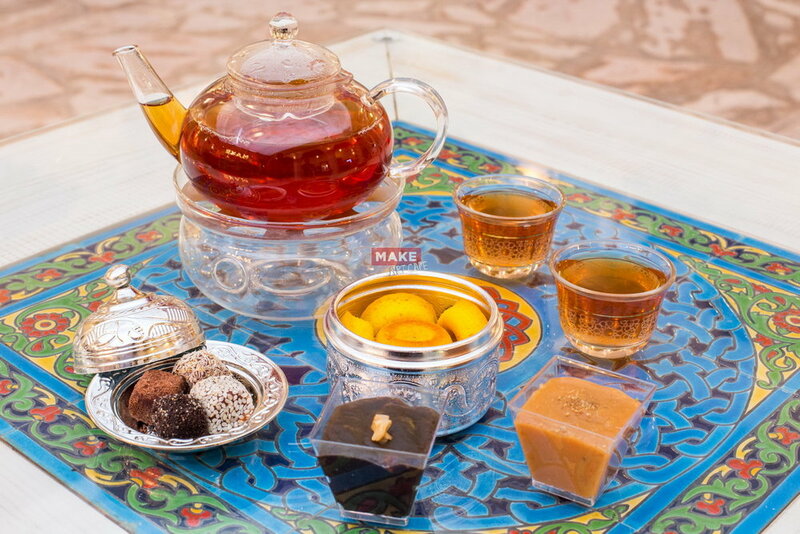 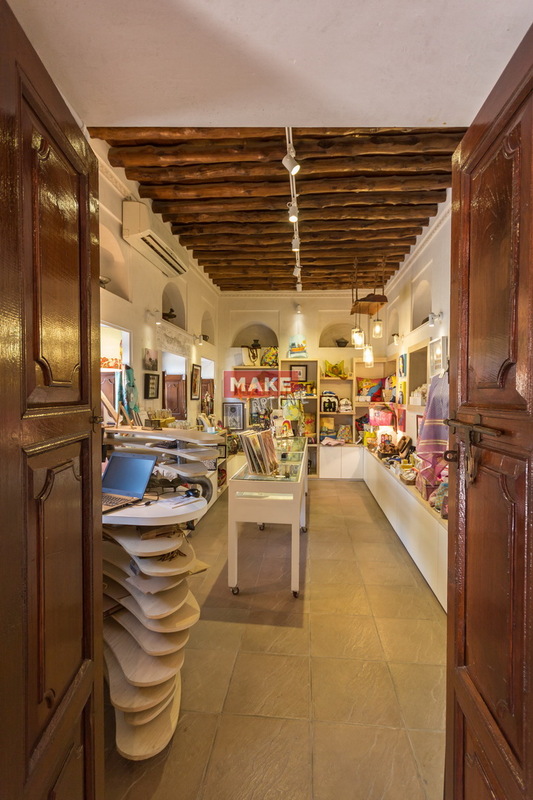 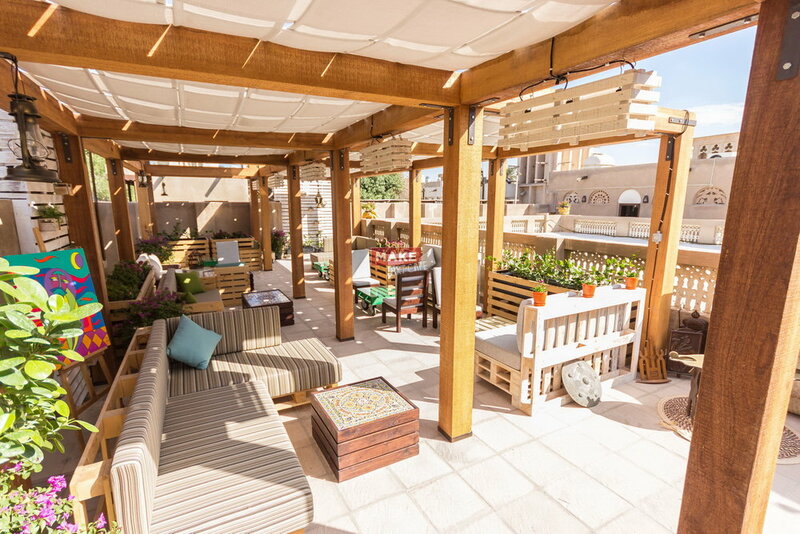 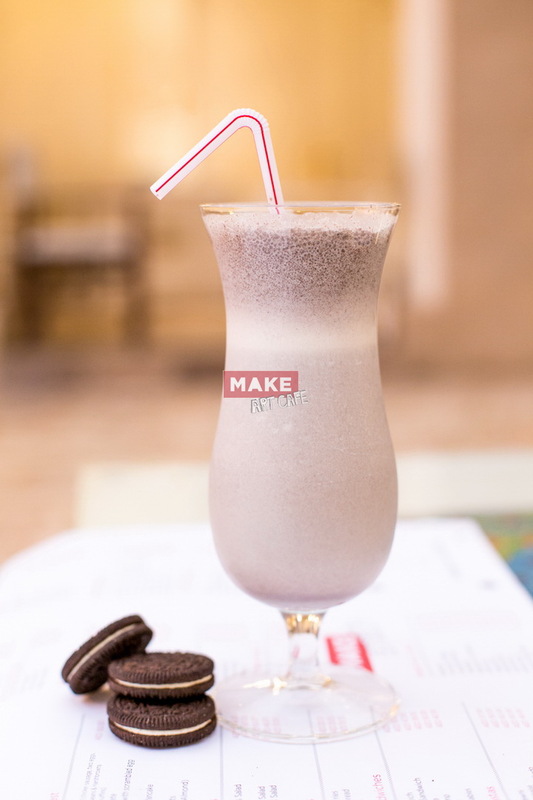 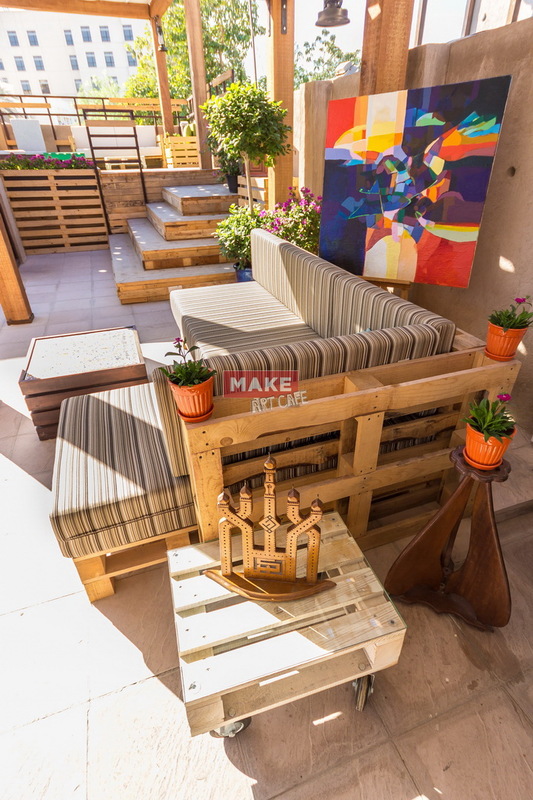 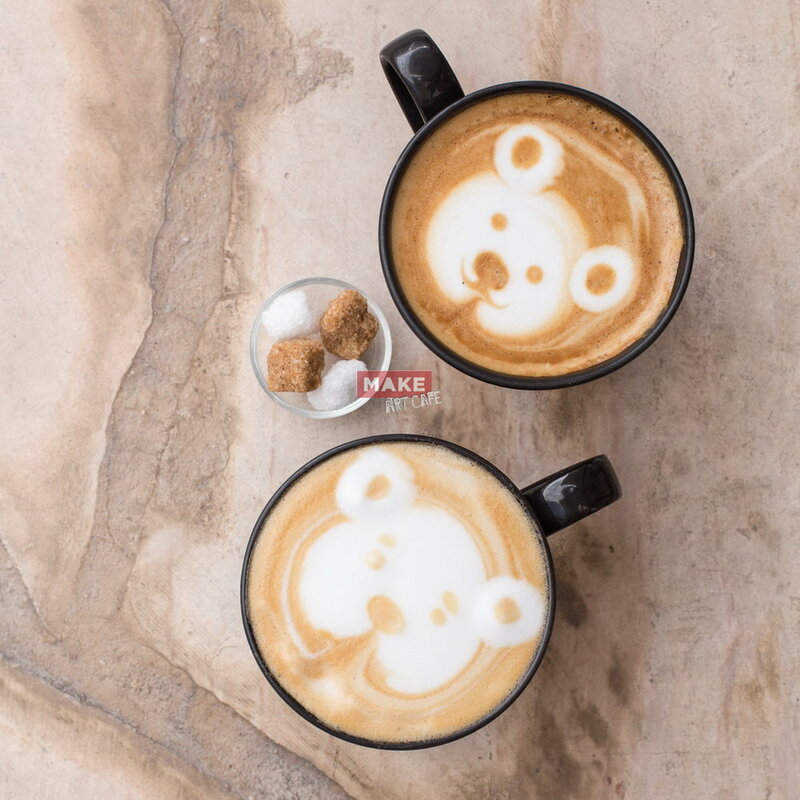 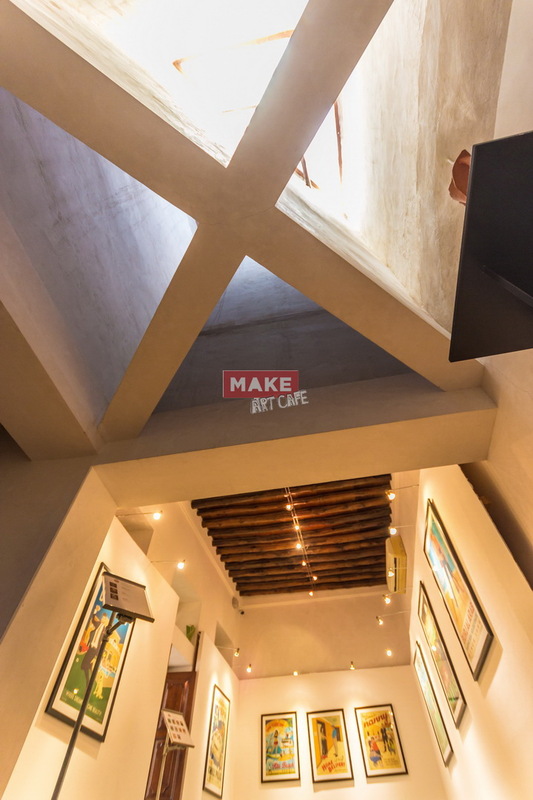 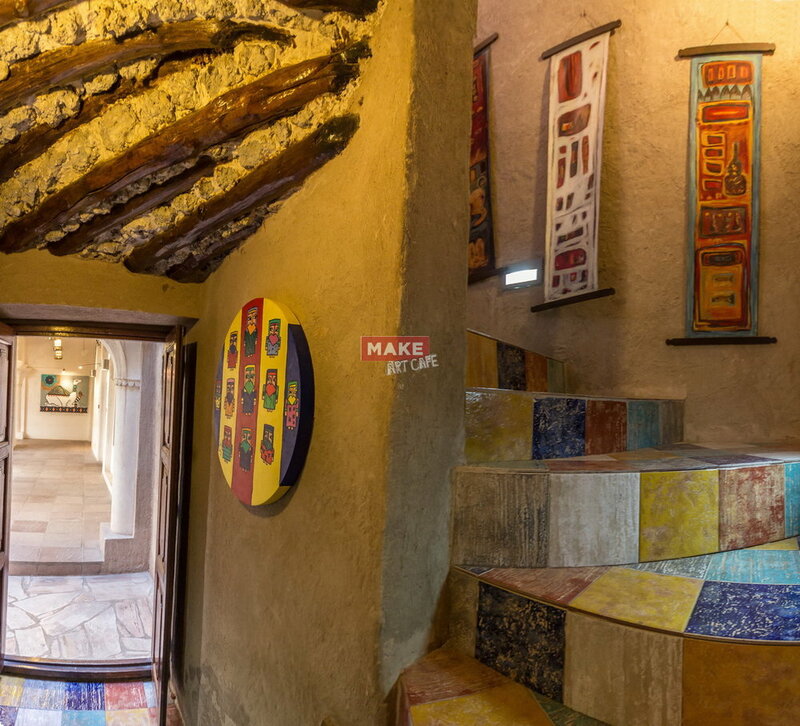 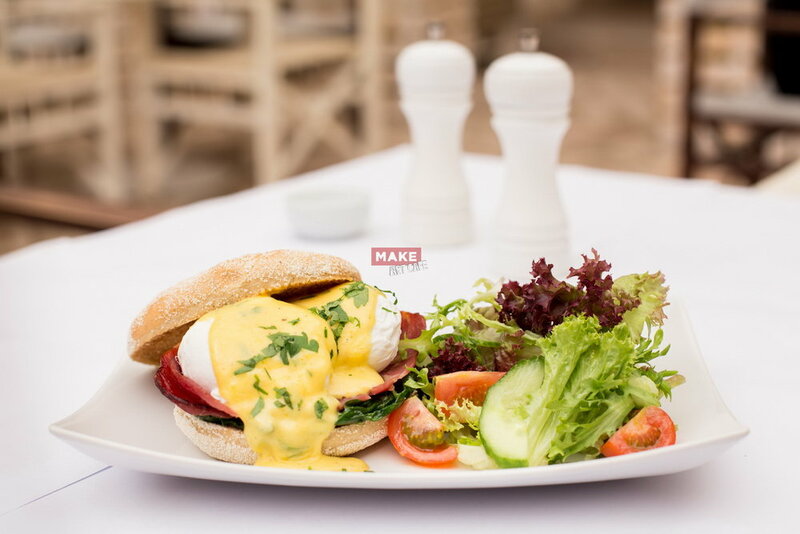 Opened in November 2015, the MAKE Art Café runs its operations from the courtyard of a charming heritage villa in one of the most attractive heritage areas in the UAE. 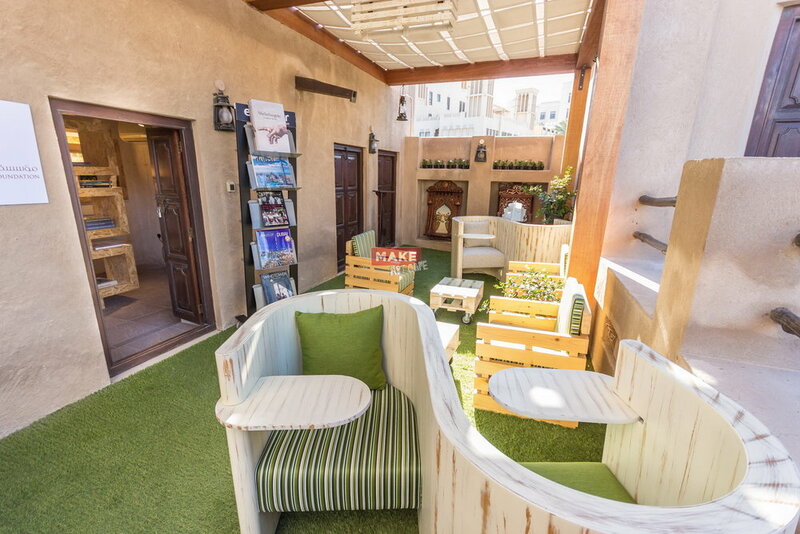 providing guests with an ideal serene space for quiet work, refreshing drinks and food or just to sit and read. 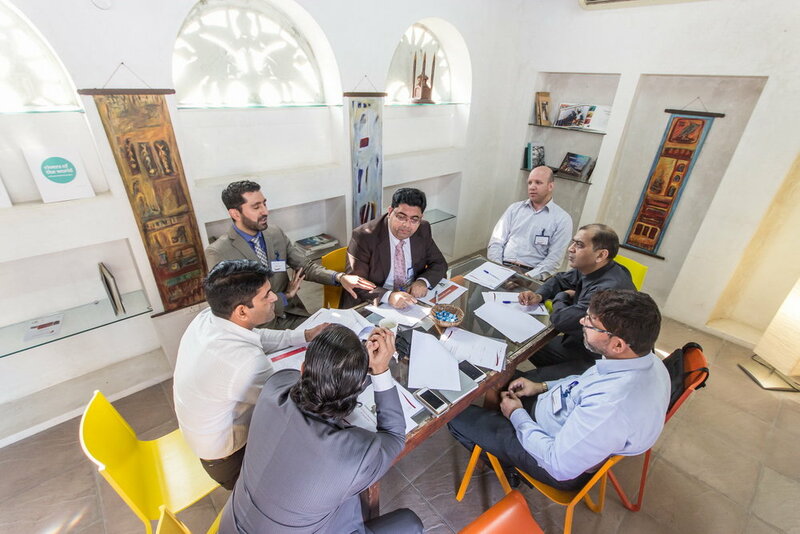 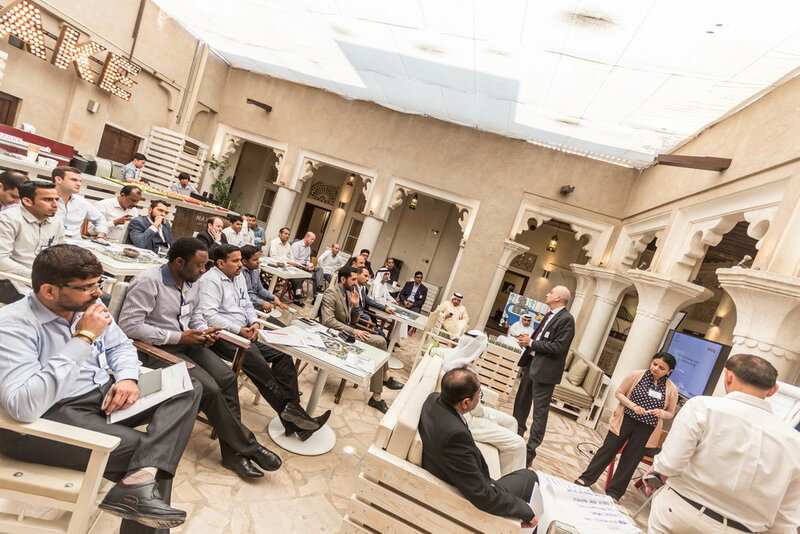 company’s corporate events, training, ideation seminars and workshops. 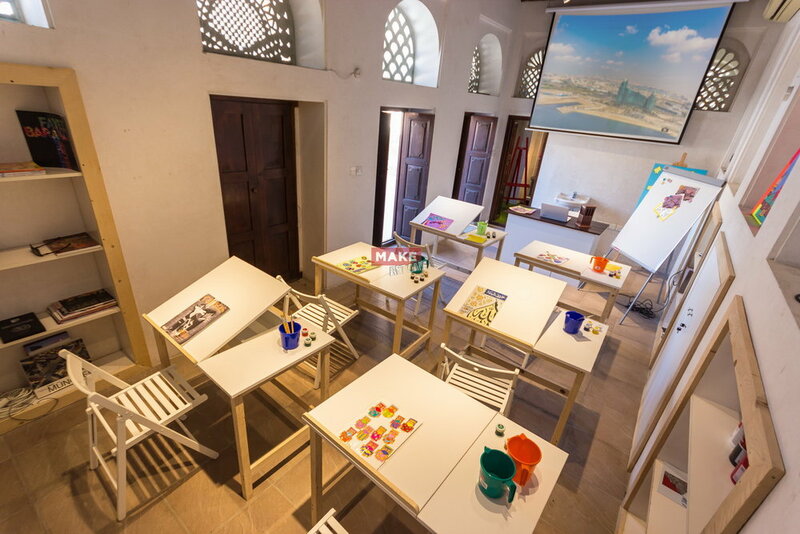 Many of these activities can be combined with a heritage tour and other interesting artistic workshops. 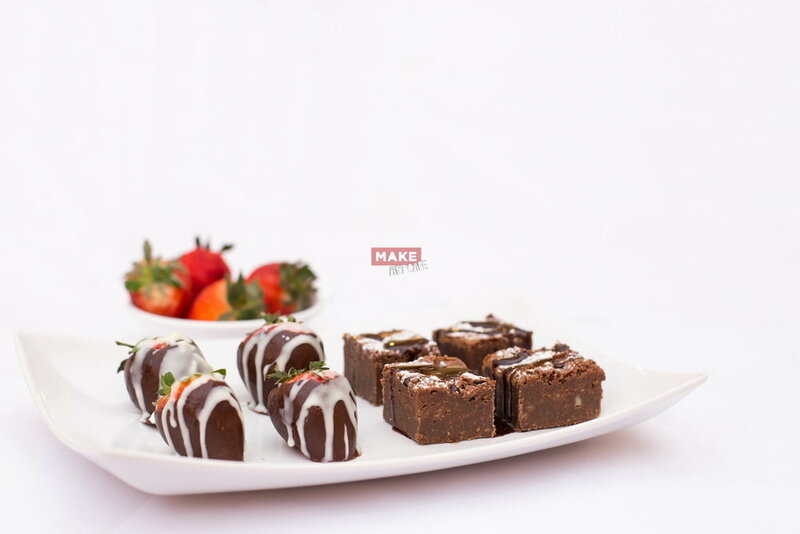 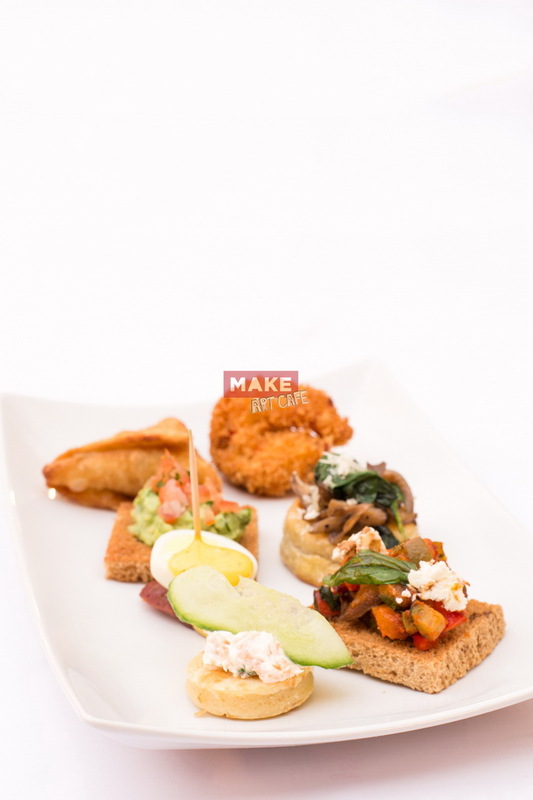 Menu is customisable with either buffet or canapés along with free flowing freshly brewed coffees, teas and natural soft drinks. 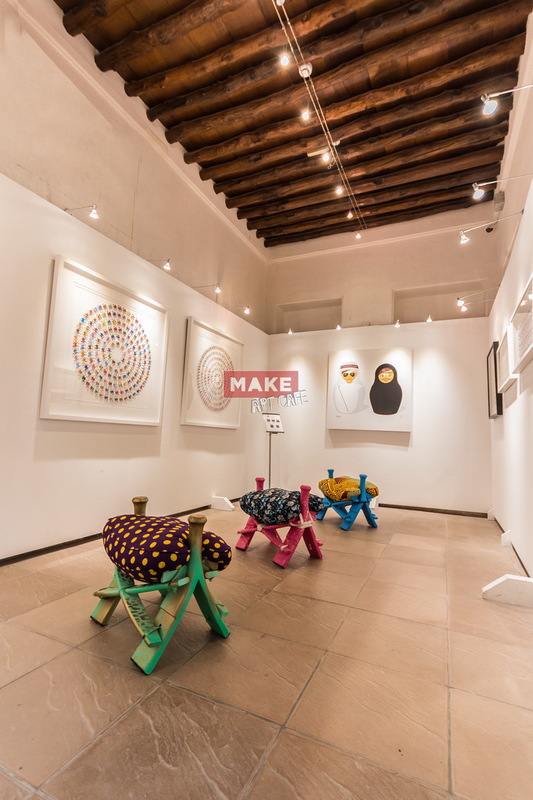 Copyright © 2018 MAKEBUSINESSHUB UAE.